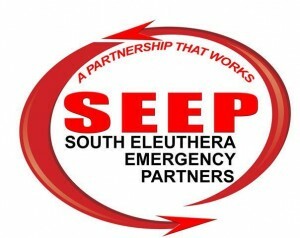 South Eleuthera Emergency Partners (SEEP) aims to maintain a skilled and professional team that provides a quick and efficient response to emergencies and interactive outreach programs to inspire confidence and trust from the communities it serves. SEEP envisions self-sustaining, coordinated, community lead and supported emergency and disaster management networks throughout Eleuthera for safer, healthier and empowered communities. South Eleuthera Emergency Partners is a community-led organization that serves the communities of South Eleuthera by providing emergency and disaster management services and enriches the community through outreach programs. SEEP began its mission to protect and serve South Eleuthera by raising funds to retrofit the volunteer ambulance used for medical transportation in the area. After focusing on the ambulance, SEEP was presented with an opportunity to expand to include fire protection services through the provision of a fire engine. The goal of purchasing and delivering the fire truck to South Eleuthera was achieved within one year. SEEP provides assistance in managing emergencies such as fires, trauma and illness cases, and provision of medical transportation.